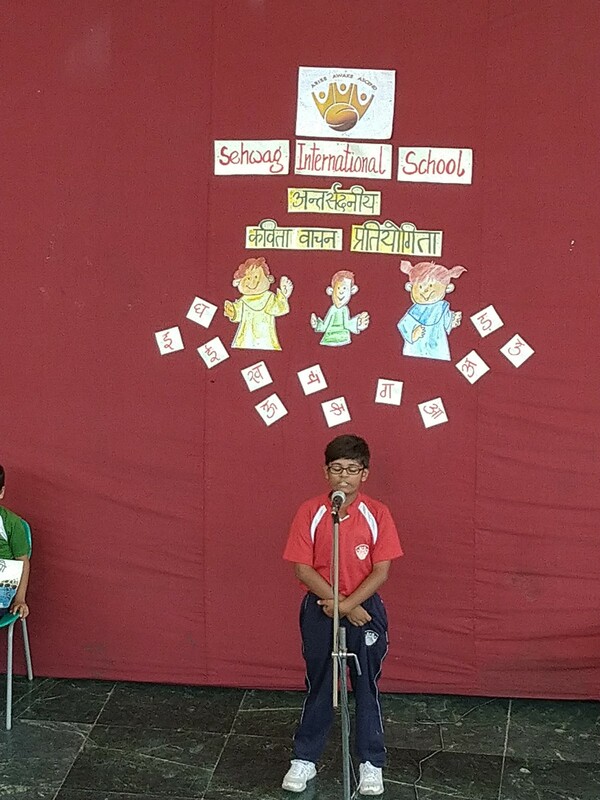 An Inter-House Hindi Poetry Recitation Competition was organized on 17 October 2018 at Sehwag International School for the Primary, Middle and the Senior Wing. 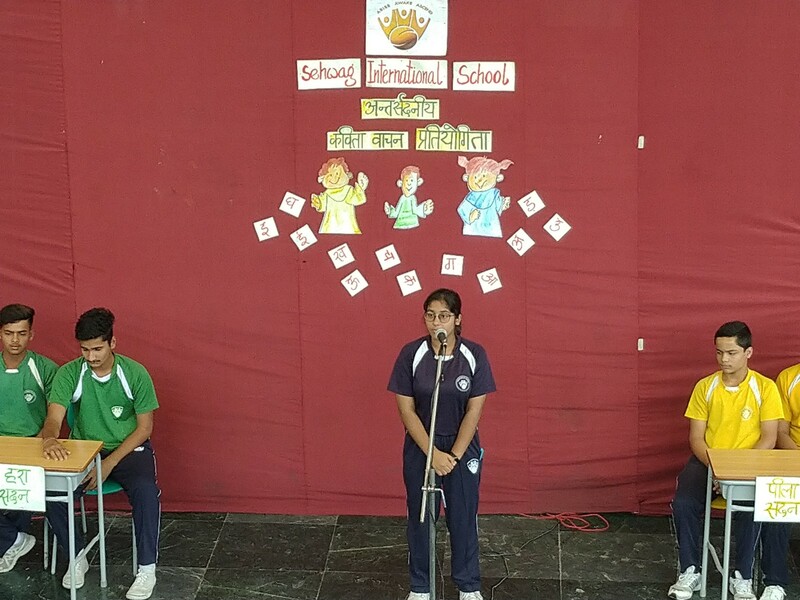 Participants from all the four houses got a golden opportunity to showcase their poetry recitation skills. 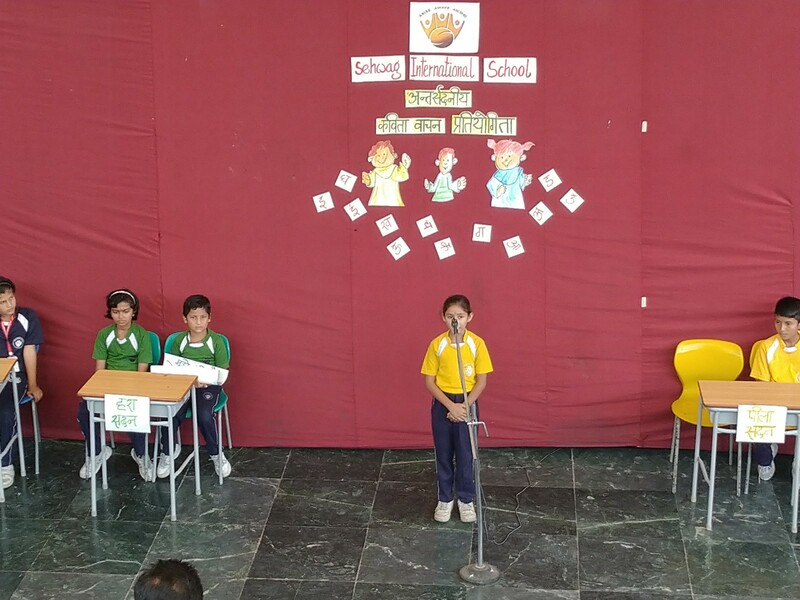 They were divided into three categories, wherein, two participants in each category from every house got the chance to recite their poems. 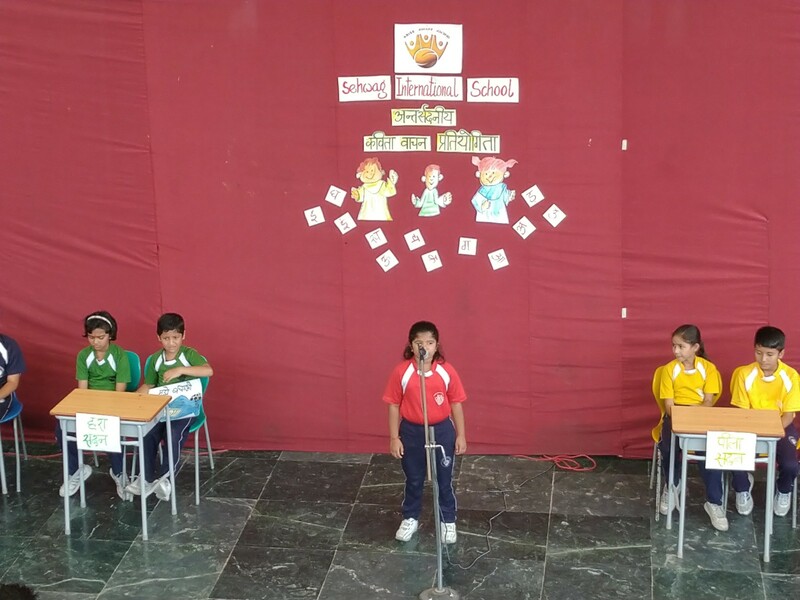 As beauty is the realm of poetry; children enjoy the beauty of expression, thoughts, feeling, rhyme, rhythm and music of words. 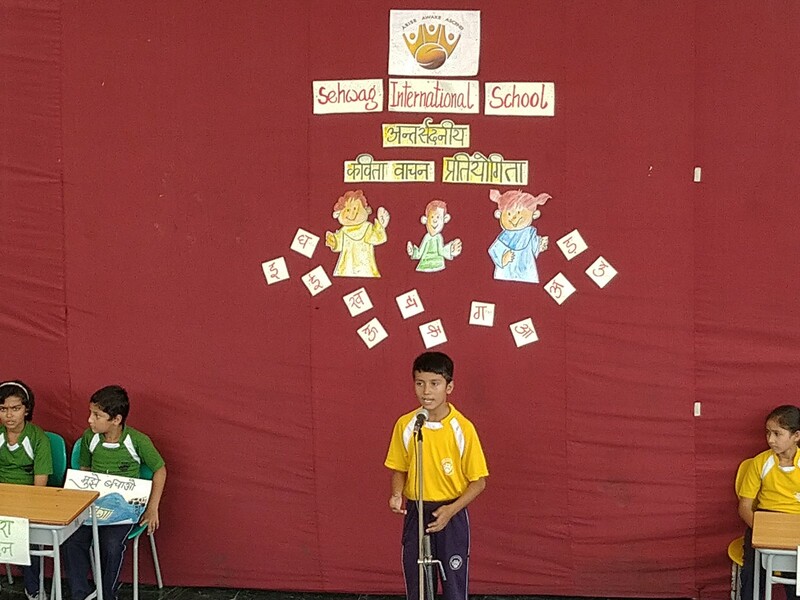 Taking all these facts into consideration, the children got an opportunity to exhibit their talent and confidence. 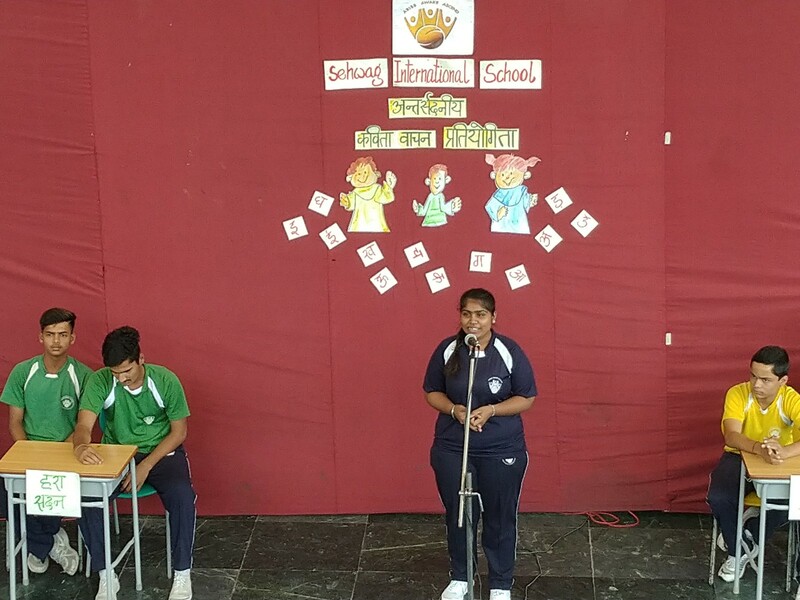 The competition inspired the participants to come forward and recite on stage. 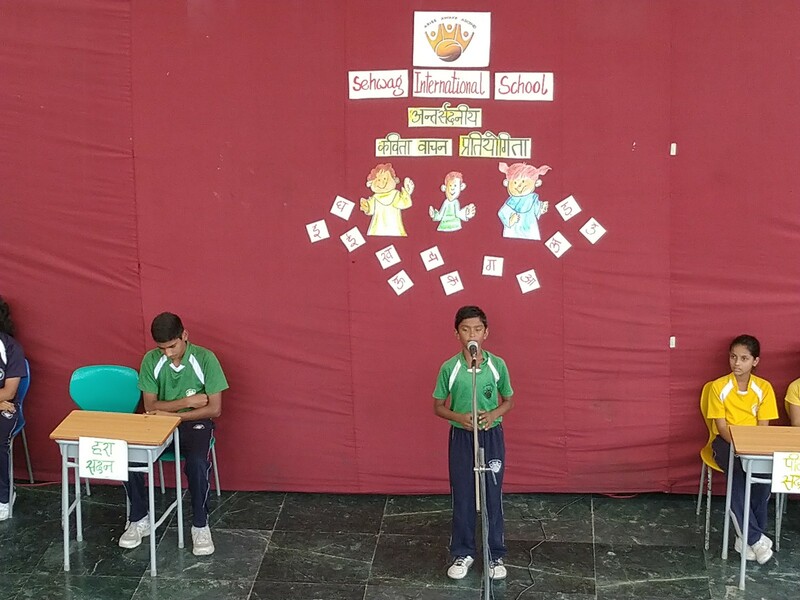 The children came up with different poems on a variety of themes and recited them with great fervour and enthusiasm. 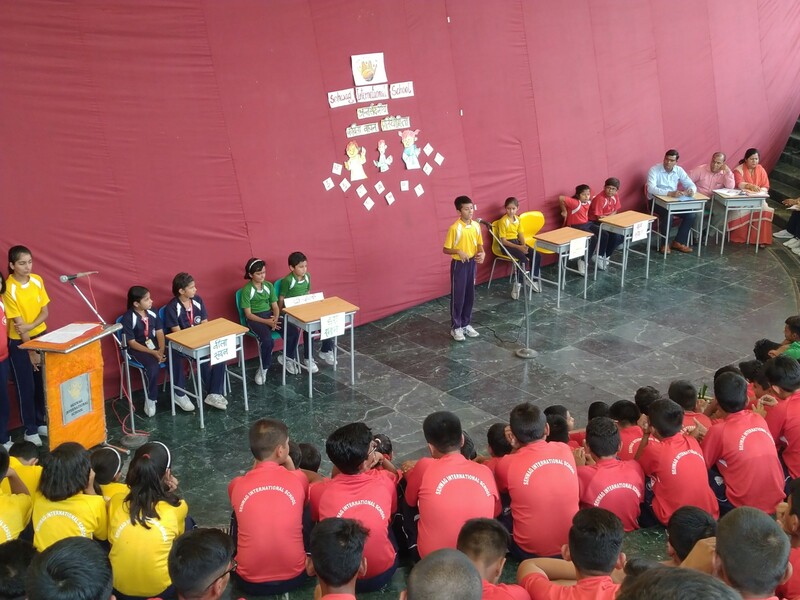 The contestants from all the respective four houses – Blue, Green, Red and Yellow left no stone unturned to win for their house. 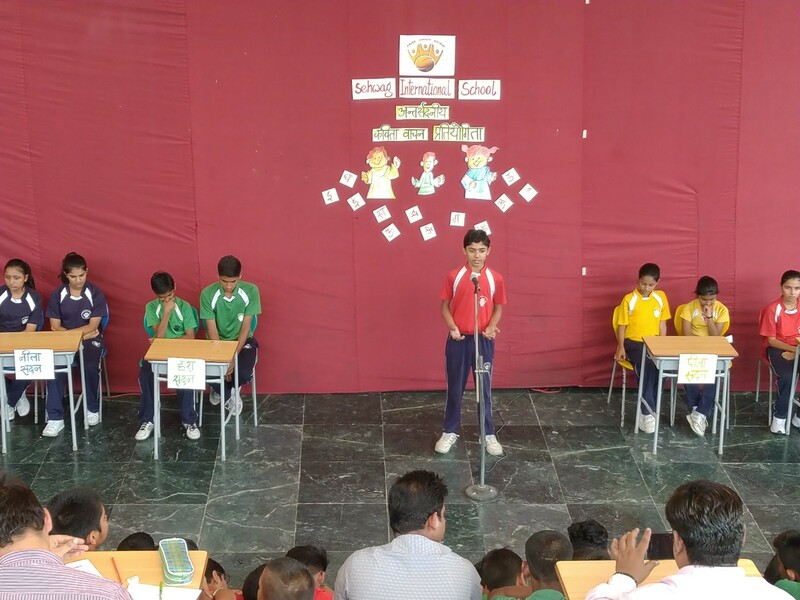 Participants were judged on parameters like memorization, articulation, body language, clarity, expression and pace. 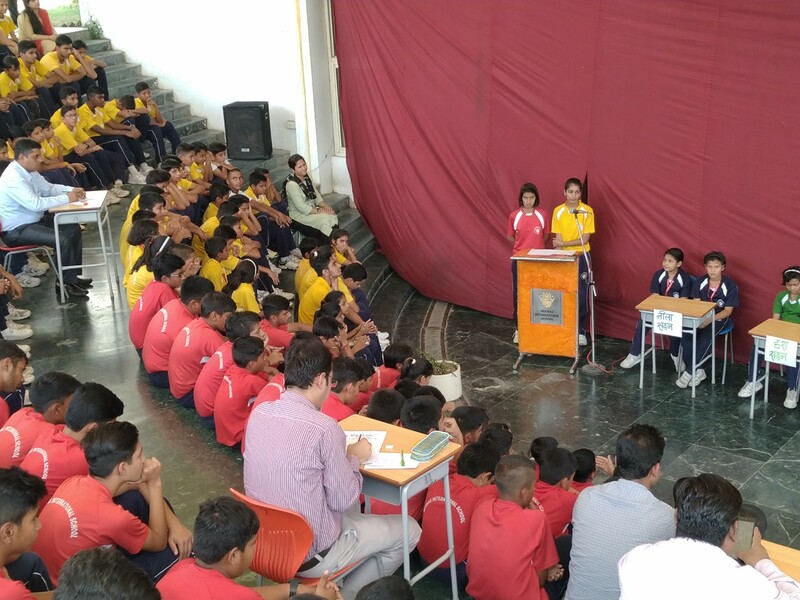 The final judgment was made by the panel of judges comprising of Mr. Manit Bhatia, Mr. Dalbir Singh and Ms. Shilpi Gupta. 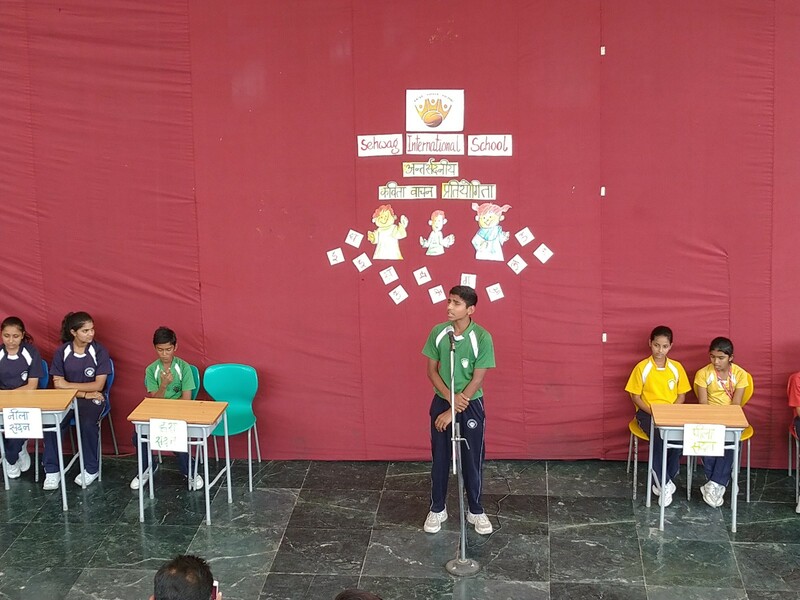 Certificates were awarded to all the winners by the reverend Principal, Mr. Dhirendra Singh after the competition. 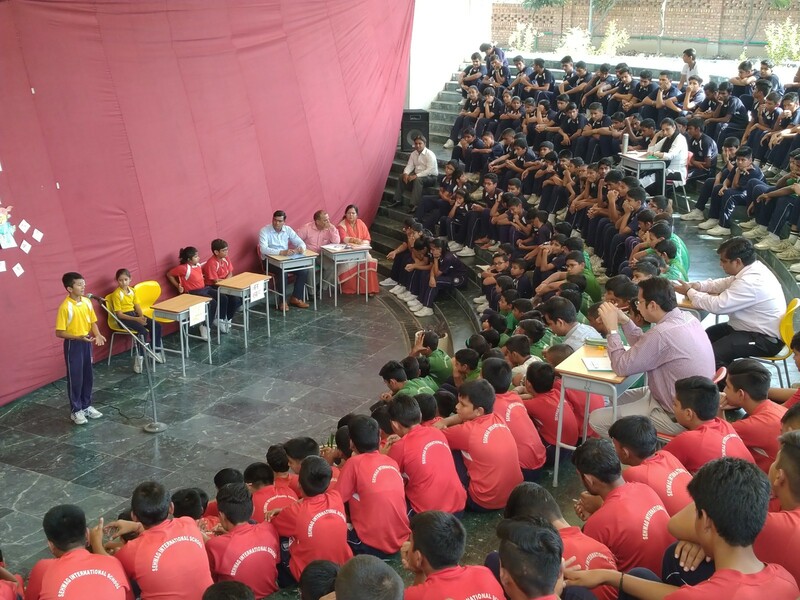 In his speech, he encouraged students to hone their literary skills and come forward to exhibit them. 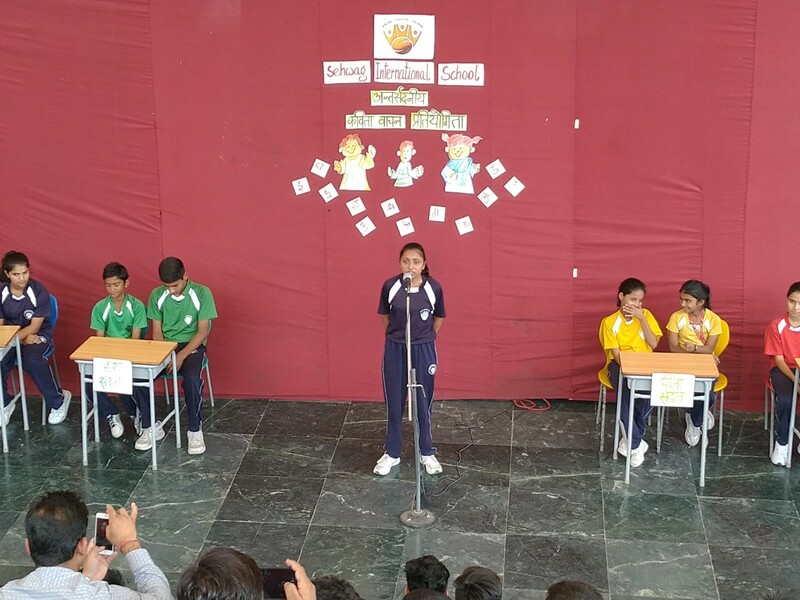 Overall, the competition was appreciated and applauded for the performance of the participants.